Lea Wait lives on the coast of Maine. 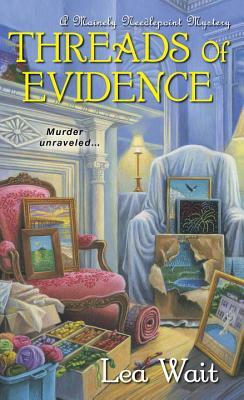 A fourth generation antique dealer, and author of the Agatha-nominated Shadows Antique Print mystery series, she loves all things antiques and Maine, and she's learning to do needlepoint. She also writes historical novels for young people set in (where else?) nineteenth-century Maine. Lea adopted her four daughters when she was single; she's now the grandmother of eight, and married to artist Bob Thomas. Find her at Facebook, Goodreads, and at www.leawait.com.